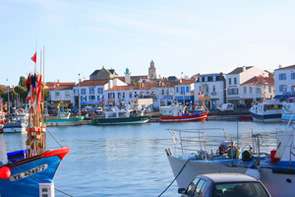 The Vendée has been a favourite destination for holiday makers since the early 1800's, originally it was a destination principally for the French now people from literally all over the world visit it. The huge Atlantic coastline is virtually all beaches, and what spectacular beaches it supports most of which have fine sand sloping gently to the sea. The "Côte de Lumière", as the Vendéen coast is named, has one of the sunniest climates in France, and this together with its beaches, have made it a vacationers paradise. The glorious beaches and weather may have been what started people visiting the Vendée as a tourist destination, but today the widely divergent aspects of the Vendéen countryside, its history and culture are as big an attraction. The Landscape of the Vendée is an interaction between nature’s exuberance and man. From on top of the highest point in the Vendée looking down, one has the sense that the whole area is a forest, for much of the land is covered by the 'bocage,' small fields with high hedges and narrow winding lanes, In fact the only large forested area is the Mervent-Vouvant Forest in the South East of the Vendée. The bocage itself is divided into the Haut and the Bas Bocage, or Higher and Lower Bocage. 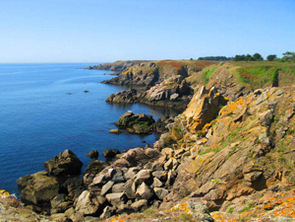 The coastal region comprises typically of long sandy beaches, although there is an area of low cliffs and rocky outcrops from south of Les Sables d'Olonne to le Rocher near Longville. The beaches are often backed by sand dunes upon which have been planted pine trees to stabilise the shifting sands. Behind the sand dunes are the three areas of marais (marshes). 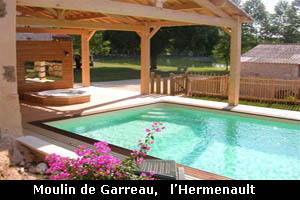 In the north is the Marais Breton, in the centre the Marais Olonne and in the south, the largest of the three wetlands, the Marais Poitevin which spills over into the neighbouring departments of Deux-Sèvres and Charente-Maritime. It contains over 24,000 kilometres of ditches and canals plus 600 kilometres of larger canals and rivers, it is the second largest marshland in France, and in all it covers .05% of the land mass of France. 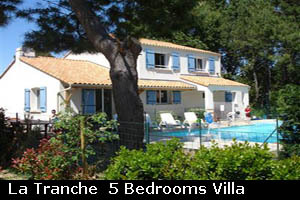 The Vendée does not possess any real cities and even the towns are not that large, but it does have charming and picturesque small towns and villages where the quiet life of the rural inhabitants moves at a leisurely pace. The people have their roots in a history of struggle and conflict and even the name Vendéen is quoted by Carl Marx to mean counter revolutionary. Throughout the Vendée there are reminders of life through the ages from Neolithic times, to the medieval and renaissance periods, and everywhere are the remains of the Vendéens’ fight to tame the land. 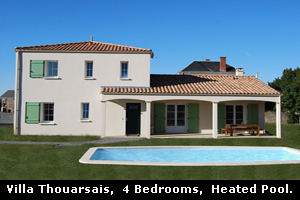 The Vendée and its people warmly welcomes its visitors and every effort will be made to see that your visit is as enjoyable as it can possibly be, and that all the facilities you need will be available to you. We hope this Vendée tourist guide will help you find answers to any questions you may have, we hope it will enlighten you on aspects of the region you may not of known and be a guide on your journey around this fascinating corner of France. Mostly we hope that this guide will help you to have a fantastic holiday. Extensive guide to 100 of the best tourist attractions in the Vendeé. Includes; theme parks, museums, Châteaux, Zoos, Gardens and more. No rides but this theme park will enthral, From Vikings to Gladiators, Worlds finest Falconry, to Villages through the ages, something for all ages. Unique, Spectacular, Magical, imagenative, everything is on a grand scale. Open; Fri & Sat Nights June - September. Chateaux Churches Gardens & Zoos. 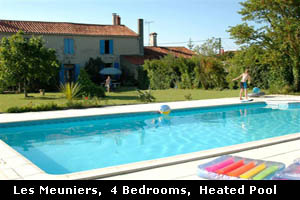 The Vendee is well known for it's fine sandy beaches offering everything from great surf to a bucket and spade paradise! From pretty coves with rock pools to the long almost deserted expanses there is a beach for everyone.With over140 kilometers of beaches and 2400 hours of sunshine it makes the Vendee an ideal Holiday destination. Coastal Beaches, Beaches Ile d'Yeu. Eating out is synonymous with great holidays, whether it's trying the local delicacies, savouring the region's cuisine or simply just letting someone else do the work. Restaurants come in all varieties from the elegant to the fast food outlets, from international cuisine to local and regional speciality restaurants. We have reviews on many of them by our own critic Tate and others. 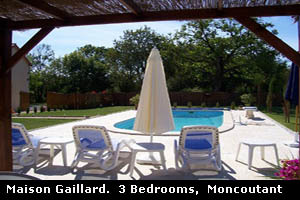 The VENDEE GUIDE is the fastest growing guide to the Vendee on the internet. 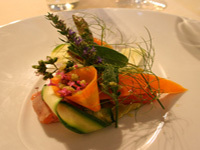 Restaurants, Activities, Entertainment and a What's on, month by month Guide. The Vendee Guide covers the major holiday activities including; Walking, Cycling, fishing, Golf, sailing, Adventure Parks, water sports, Horse Riding. Childrens activities, karting and much more. For some a holiday is all about relaxing, taking it easy, while for many holiday activities are essental. These activities can be as diverse as sports and extreme pursuits to painting, birdwatching & wine tasting. The Vendee as a major holiday destination has virtually every activity covered, whether you want to participate or indeed want lessons to learn a new pursuit. This is particularly true for the beach and watersports. Walking and Cycling are well catered for with over 1000 kms of cycle tracks and path well marked and maintained for walkers. The Tourist information you are looking for may not be instantly obvious on the Vendee guide, one tip is to enter your search term into the search box at the top of each page,this will show you the pages that term appears on. Below we have listed pages and sites that should help you get more information on subjects you require. If You still can not find what you are looking for contact us and we will see if we can include it. Small collection of Videos and links to other great videos. 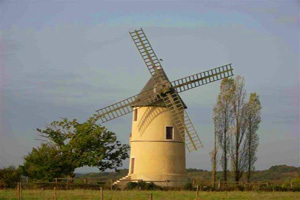 We have information on over 100 towns and villages in the Vendée, including their history, attractions activities, restaurants, photos and where appropriate links to other information sources. 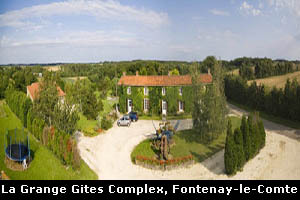 Full list of Towns and Villages in the Vendée. Hotels, Campsites. 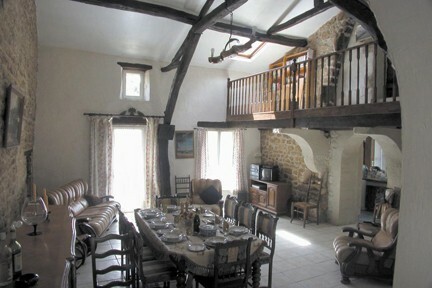 Bed & Breakfast Group Accommodation. 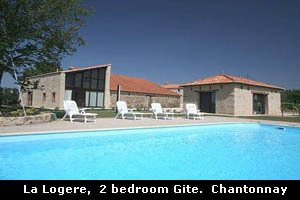 Find your ideal property here in the Vendee. All properties listed are being sold directly by the owners. You will deal directly with the owner. your saving is not paying agents fees which range from 4 to 10% depending on agent and sales price. The details published on this site have been supplied by the owners and are believed to be accurate.